Today, all consumers can obtain any piece of data at any point in time. This experience represents a significant cultural shift: the beginning of the democratization of data. 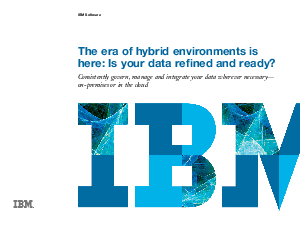 However, the data landscape is increasing in complexity, with diverse data types from myriad sources residing in a mix of environments: on-premises, in the cloud or both. How can you avoid data chaos?